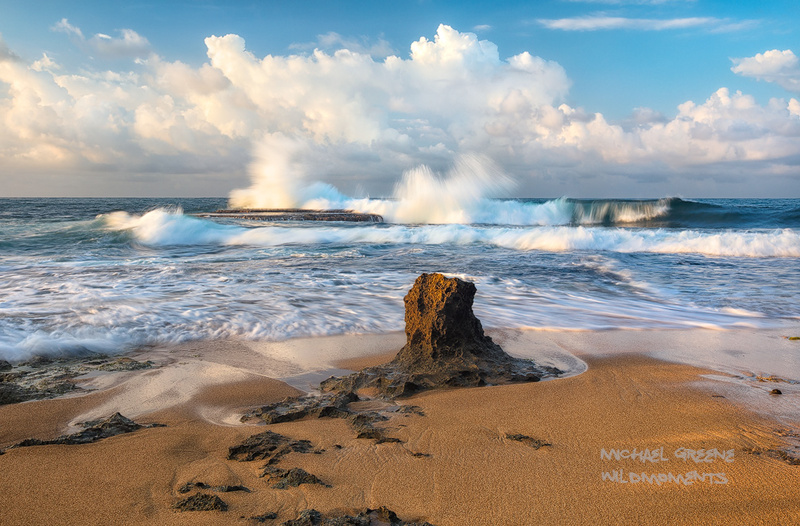 A lone sandstone formation decorates the beach near a rocky platform amid exploding Caribbean surf and dramatic clouds. This was captured at sunset on a beautiful summer evening at the Gandoca Manzanillo National Wildlife Refuge in Southeastern Costa Rica. Photo © copyright by Michael Greene.